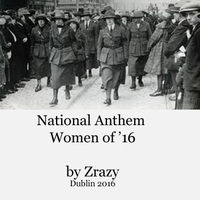 A radical new musical and lyrical arrangement of the Irish National Anthem especially written for the 2016 Commemoration of 1916. It writes the forgotten and erased women back into the historical narrative. Download aids Focus Ireland Homeless Charity. This is an electrifying fun new version of the Irish National Anthem from the multi-instrumentalists Zrazy based in Dublin, Ireland. Download proceeds in aid of Focus Ireland Homeless Charity. 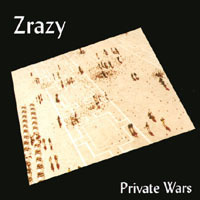 'Zrazy have musical talent to burn' - Hot Press. Their new album 'The Art of Happy Accidents' has been called a 'dazzling collection' and is nominated in the 'Album of the Year' category by Hot Press Readers Poll of 2016. Mary McAuliffe, Lucy MacDiarmid, Liz Gillis , Sonja Tiernan, Margaret McCurtain, Tom Clonan's excellent essay, Fearghal McGarry and more..